You don’t have to give up your privacy when using a barn door on a bedroom or bathroom entrance. 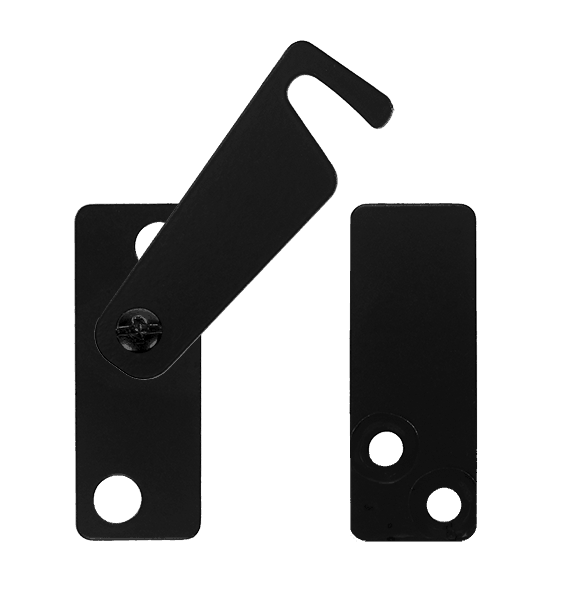 Our optional privacy latches offer sturdy, simple solutions for keeping doors shut when you don't want to be disturbed. 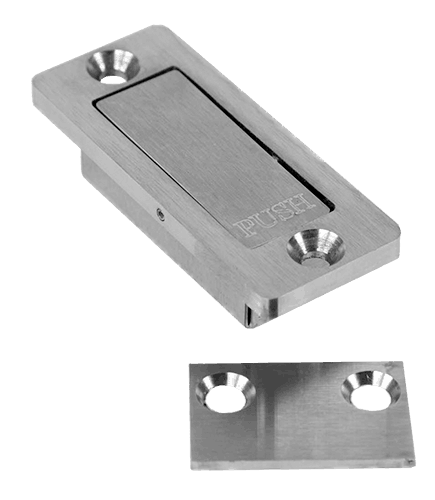 Our standard privacy latch can be mounted either on the door or on the wall, depending on how your door is installed and which side of the door you want to keep private. It can be overridden in an emergency by slipping a thin knife blade or other tool between the door and the wall, and lifting the lever. Router templates are available for precise installation. 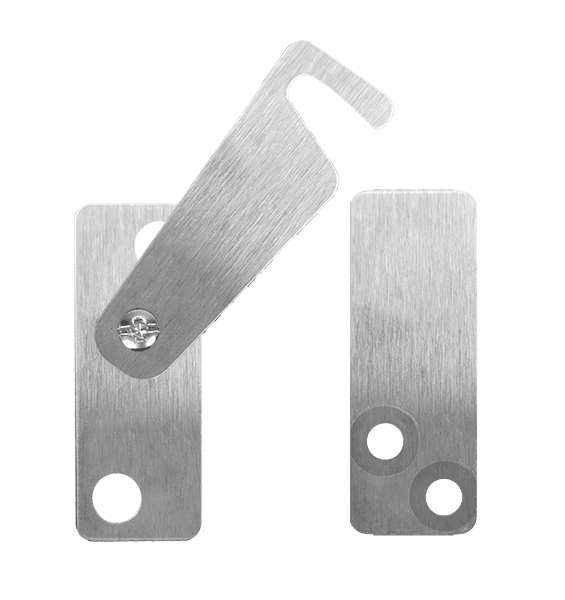 Our biparting privacy latch mounts across a pair of biparting barn doors, shutters, or cabinet panels. It can be overridden in an emergency by slipping a thin knife blade or other tool between the two doors and lifting the hook. 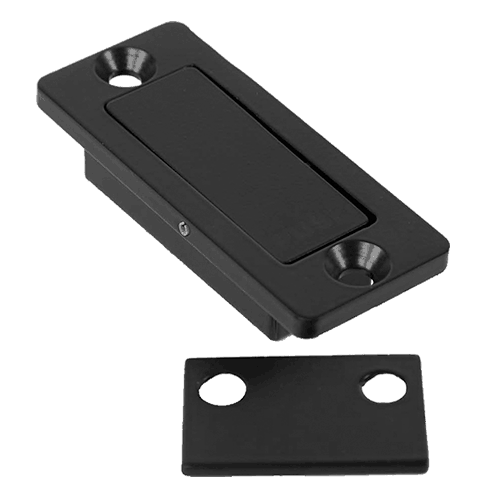 Both privacy latches are available in 16 powder coat colors, unfinished, or stainless steel.